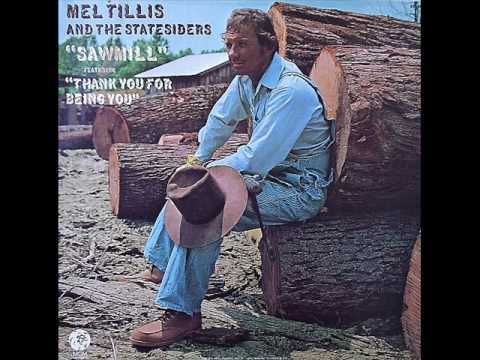 Mel's hit, Sawmill, peaked at Number 2 on the Billboard Country Charts, November 10, 1973. Written by Mel and Horace Whatley in 1959 and first released that year by Mel and Bill Phillips, the song depicts the life of a working man, working to fulfill the monetary needs of his woman. It was later recorded by Mel's boss at the time, Webb Pierce and again by Faron Young. A highly popular version was also performed by the Grateful Dead in the 1970's as well. Mel portrayed the haggard rough look of a timber worker perfectly on his album cover.